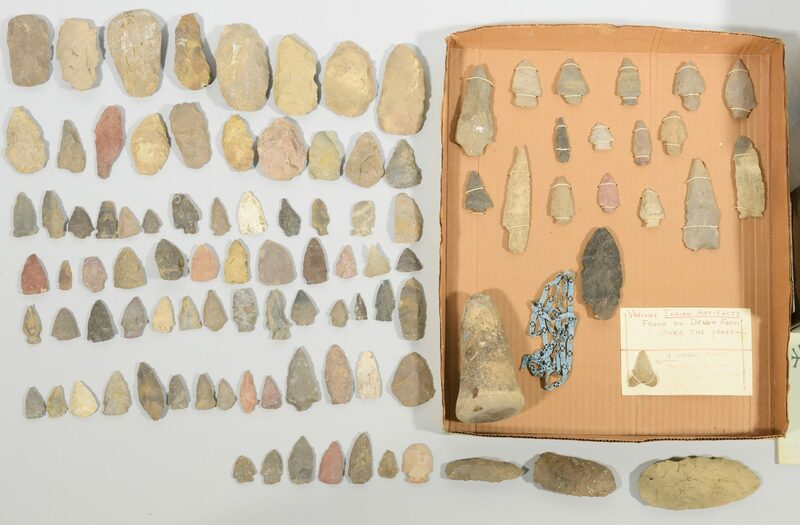 Large collection of dug carved stone artifacts from Devon Farm in Nashville, TN, primarily Native American. Over 500 items, a few mounted on a homemade display board, including arrowheads, points, knives, scrapers, various tools, one shark's tooth, a pestle, and a strand of blue glass beads among others. 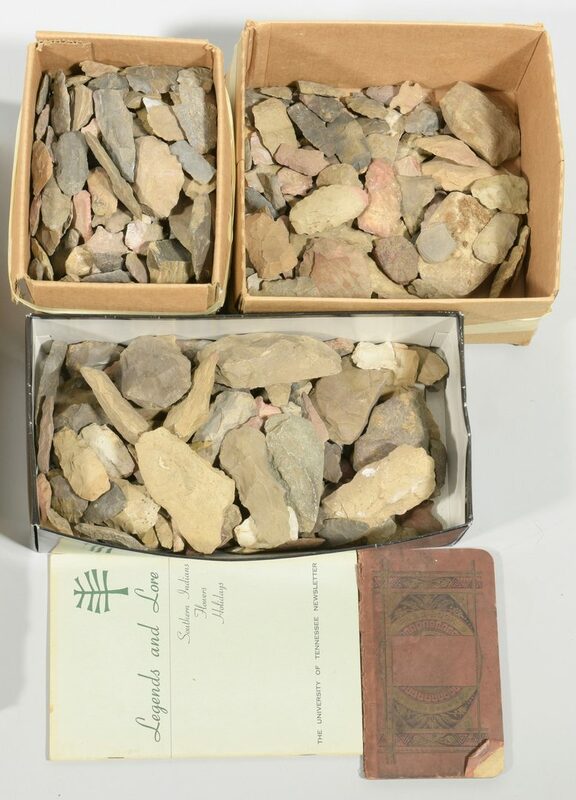 Together with an old mid-19th century ledger with entries of excavated items including types of items and dates found (all items listed may not be present) and a University of TN newsletter titled "Legends and Lore: Southern Indians, Flowers, Holidays", printed 1961. 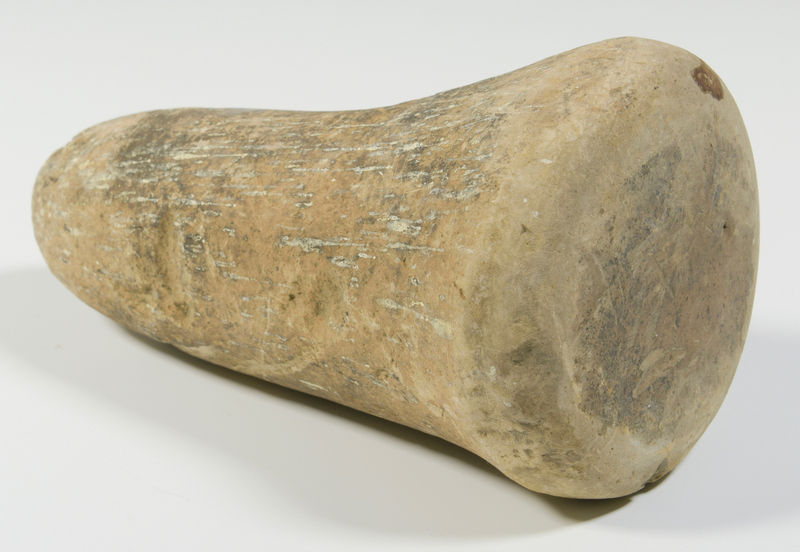 Collection ranges in size from 1 1/4" H to 5 3/4" H. Pestle – 6" H. Note: Collection is AS FOUND and has not been sorted. 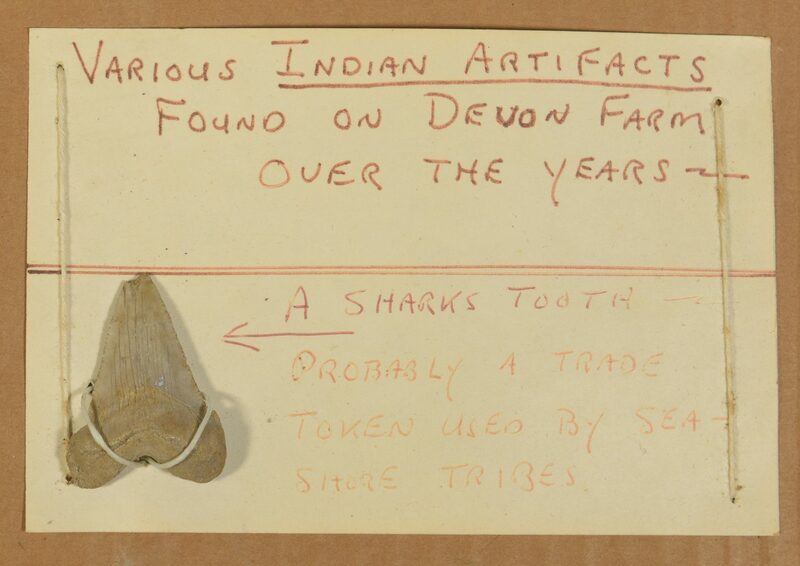 Some items may not be Native American related. 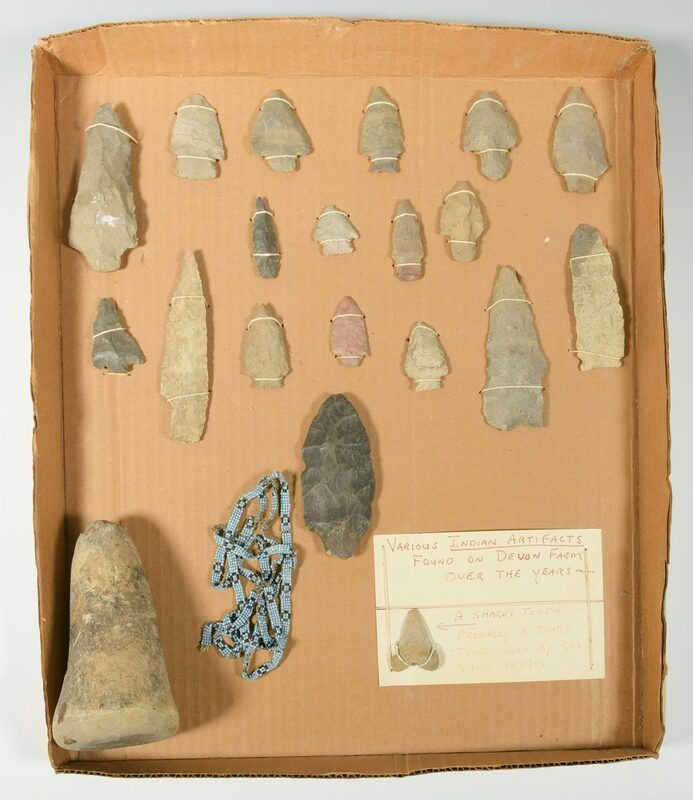 The book, "Images of America, Nashville from the Collection of Carl and Otto Griers", by James Hoobler, page 24, 1999, mentions "The Mississippian artifacts that [the Hicks family] dug up along the Harpeth River near Devon Farm, his family home." Provenance: the estate of Sarah Hunter Hicks Green, formerly of Historic Devon Farm, Nashville, Tennessee. CONDITION: Varying as-found condition, some intact, others chipped.